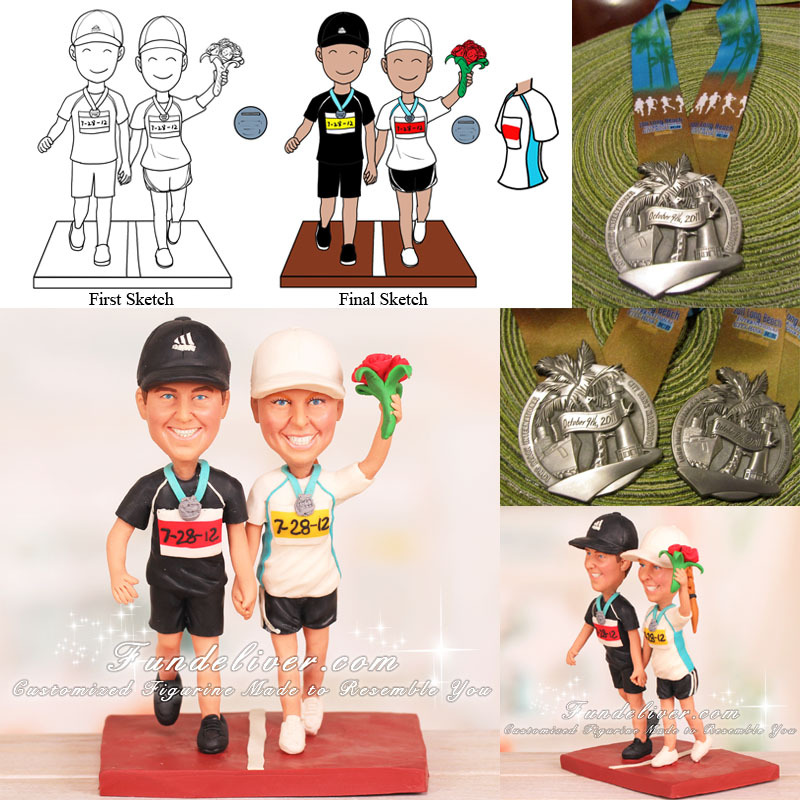 This is a completely customized Long Beach Marathon wedding cake topper ordered by one of our customers. They would like to capture the moment when groom proposed at track of Long Beach International City Bank Marathon. 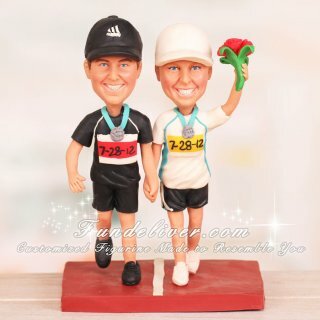 The bride and groom’s figurine is running on the track. And he is wearing a black cap and his shirt is black short sleeved with white lines. The bride has rosy cheeks, and is wearing her hair in a braid sticking out of cap, holding a bouquet of red rose. They would like to add their wedding date 7-28-12 on the bibs. The last but the most important are their medals on the necks. The groom wears the Long Beach Marathon medal which is slight larger than the Long Beach Half Marathon medal that the bride wears.